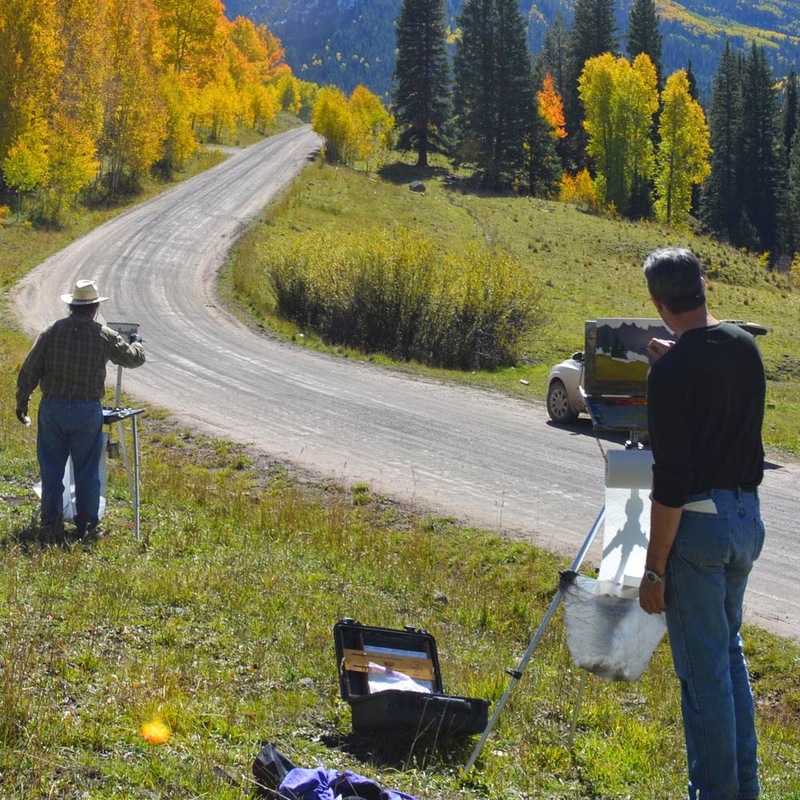 Just a week after Illuxcon, I was off to Colorado to paint fall color for five days with my friend Arthur. 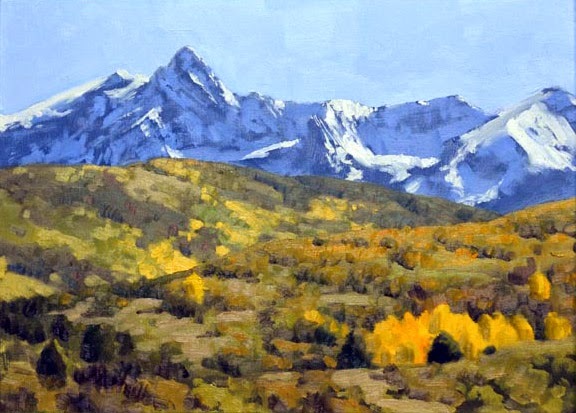 The weather was perfect most of the time although we did have one snow day which gave the peaks a nice dusting. We timed it just right with most of the spots being at peak or a little before peak when we arrived. 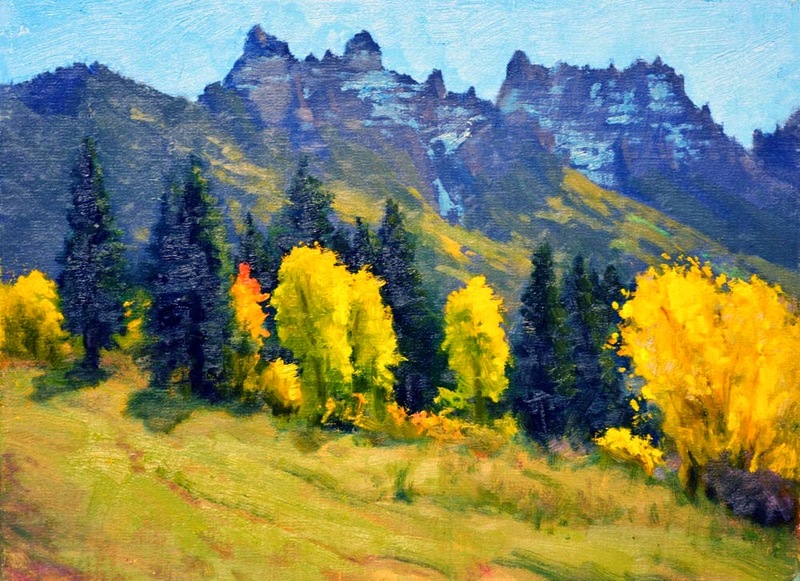 I finished eight paintings total and got plenty of reference for future studio pieces. 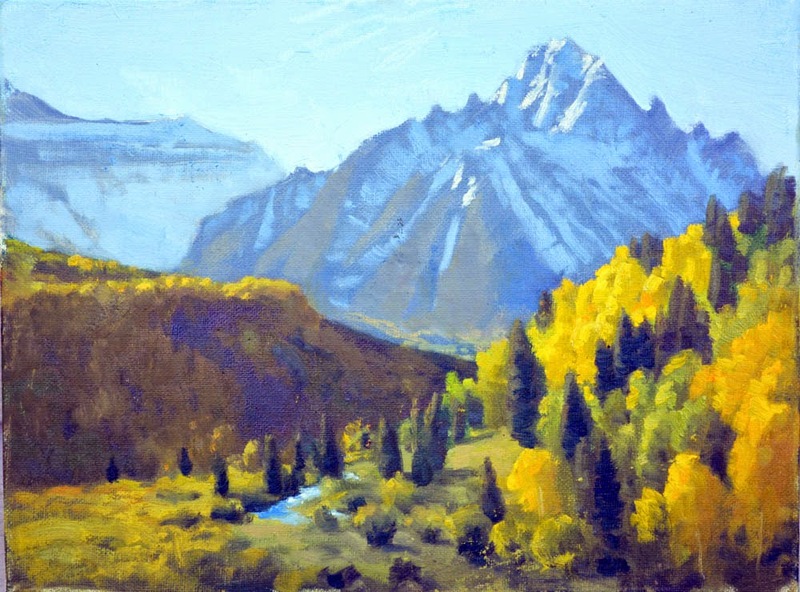 We had rooms at a bed and breakfast in Ouray and we made day trips to a predetermined place, splitting our time between the Cimarron Range and the Sneffels Range to get a morning and evening painting. At night we returned to town for a meal at one of the local food establishments . 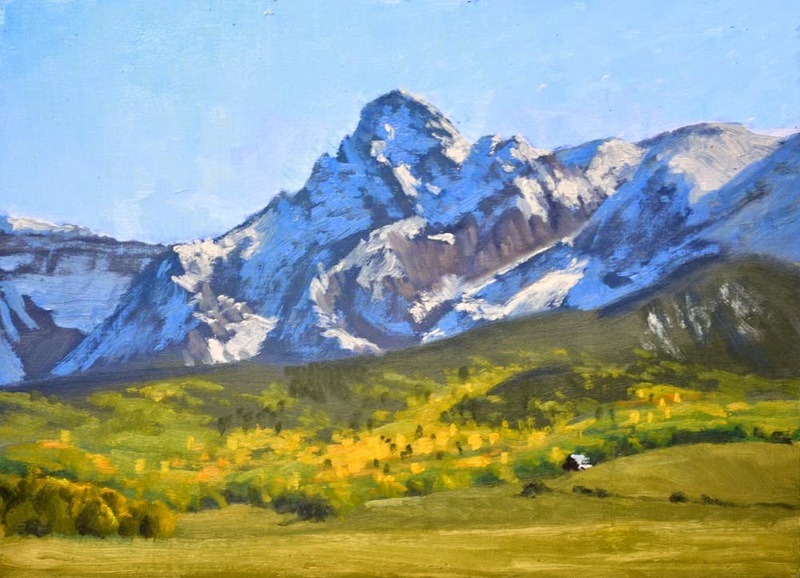 The area boasts 10 peaks above 13,500 feet with 6 peaks above 14,000 feet. 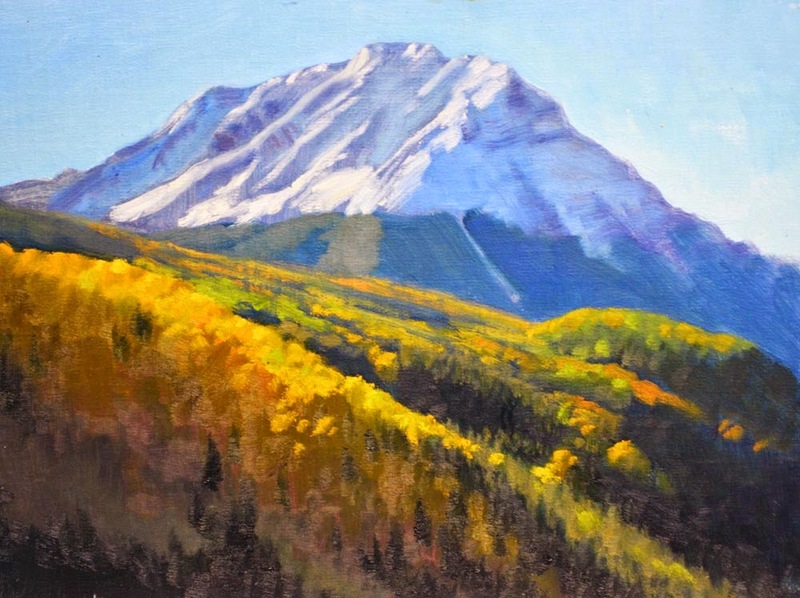 Unlike the Eastern Sierras which also has quite a few 14ers but prohibits vehicles in the back country, most of the close views of these peaks are accessible by forest roads and four wheel drive vehicles.